Z and I were blessed with some time one on one, a rarity this summer. While Lil’C was in her art class, the two of us snuck away for our own adventure. 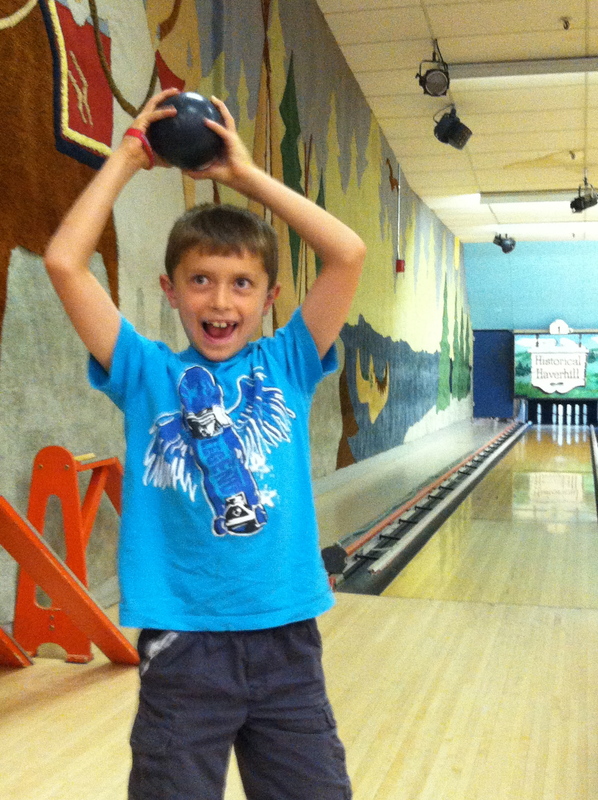 We decided that bowling would be fun and cool on the hot summer day and we tried a brand new bowling alley (well new to us). Without Lil’C in tow our bowling game was sooooo quick and so we hit the arcade. We had so much fun spending the $10 of quarters and collected quite a few tickets. Z decided to cash them in for prizes for both he and Lil’ C, such a thoughtful boy. It was so nice to have this Mommy/Son time. I need to make sure that I find more time to do one on one activities with my kids. I have friends who give their children “dates” for Christmas (12, one for each month). I think this might be a great way to make sure that Scott and I have one on one time with our kids!